Bathtime is not bathtime without your ducky. Now you can take your rubber ducky with you where ever you go. 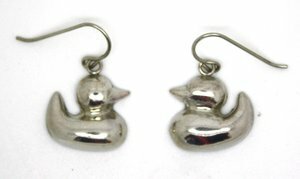 These sterling silver earrings are approximately 18mm across.